I brought this blog under the heading dvdhearn.com and, got some reason, can't edit my previous posts on my mobile. Not sure why. Maybe it's because I did that on my desktop. 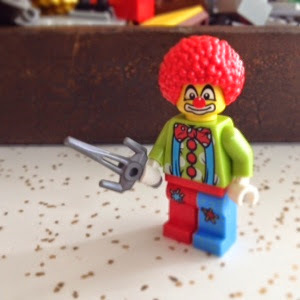 While I figure it out here's a photo of a minifig my son calls, "Stabby the Clown"